As the awareness of the importance of healthcare service quality and pressures from stakeholders continue to grow, healthcare service providers have no option except to develop appropriate service quality evaluation procedures. Patient satisfaction is imperative, and has become a critical issue especially in e-health services. Although healthcare service providers have become aware of the need for improving customer experience through provision of customer-centric services, virtually none of the existing e-health quality evaluation frameworks are grounded on customer-centric metrics. In this chapter, a critical analysis of existing evaluation initiatives is presented from the context of e-health services. Critical areas of e-health service are investigated to determine quality dimensions that influence customer experience. From this analysis, a customer-centric evaluation framework is proposed, comprising four e-health service quality scales. The framework provides a platform for continuous improvement in e-health service. The healthcare service sector forms the largest percentage of the overall service sector in almost every economy across the globe (Hamid and Sarmad, 2008). Governments, non-governmental organizations and other stakeholders continue to increase their focus on healthcare service industry. This is evidenced by increasing investments and regulatory controls on the sector (Hamid and Sarmad, 2008; Mitchell, 2000). In addition, the ever-increasing rate of adoption and usage of electronic service (e-service) technologies in the healthcare demonstrates the increasing attention of stakeholders on the sector (Glasgow, 2007; Gustafson and Wyatt, 2004; Mantzana et al., 2006). Researchers have argued that the use of e-service technologies can potentially revolutionize the sector in terms of quality of service, efficiency, reduced costs, and customer experience (Wickramasinghe and Misra, 2004; Brender, 2006; Gustafson and Wyatt, 2004). The concept of e-service quality basically defines the extent to which a web site facilitates efficient and effective shopping, purchasing and delivery (Zemblyte, 2015; Akinci et al., 2010). This phenomenon has become a central issue in e-service research. According to Zemblyte (2015), it is crucial to develop quality frameworks for measurement and evaluation of service quality of e-services, stretching from pre-purchase through to the post-purchase phase. This necessitates development of instruments or frameworks for e-service quality evaluation, preferably from a multi-dimensional perspective. Though a significant number of existing researches has focused on developing frameworks that show how e-service quality can be created, negligible attention has been focused on developing frameworks for evaluating e-service quality, covering the whole customer experience in e-service delivery. Customer experience should encompass information search, order placement, customer service, order delivery and customer satisfaction. This idea can be applied in specific service industry, most importantly the e-health service industry. E-health leverages the information and communication technology to connect healthcare service provider, patients and governments, to educate and inform healthcare professionals, stimulating innovation and improvement in the healthcare system (Oh et al., 2005; Brender, 2006). 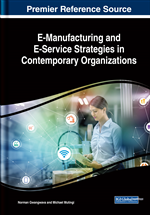 The purpose of this chapter is to present a multi-dimensional framework for evaluating e-service quality from the customer’s perspective, incorporating the entire customer experience. By assessing past case studies, conceptual and literature review articles, a set of e-service quality evaluation criteria is developed from the context of e-health service. From these criteria, appropriate quality dimensions are dimensions are developed. Finally, quality scales are then synthesized. The proposed instrument offers several advantages over conventional e-service evaluation frameworks when applied to e-health services. The rest of the chapter is organized as follows: The next section provides a background to the e-health, e-health service quality, and e-health service quality evaluation issues. This is followed by a description of the research methodology applied in this study. Literature search findings are then evaluated and presented, detailing the evaluation criteria pertinent to e-healthcare service. A customer-centric framework for evaluation of e-health services is proposed. Managerial insights are then derived and outlined. The chapter ends with a summary.